Our organization is a proficient manufacturer and supplier of a wide range of Insulated Casseroles. Cook and serve in absolute style when you own this casserole from Bergner. This product is made from high grade stainless steel for better strength and durability. It comes with a glass lid that aids in cooking. Classily designed, this casserole is the perfect pick for your home. 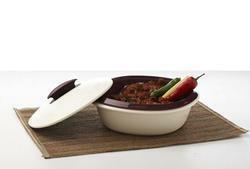 We have vast expertise to manufacture a wide range of casserole bowl. Our range is offered in a variety of shapes, sizes, designs and other configurations. 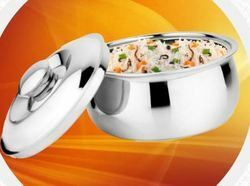 We also design and develop these casserole bowl as per the specifications and preferences of our customers.